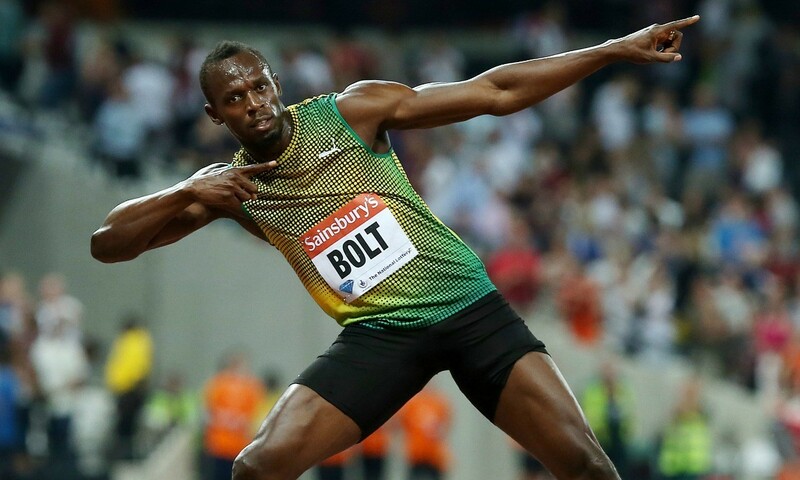 Usain Bolt will race his first 100m since April at the Sainsbury’s Anniversary Games on Friday (July 24) and the world record-holder knows it’s an important test ahead of next month’s IAAF World Championships in Beijing. Having suffered a pelvic injury and withdrawn from this month’s IAAF Diamond League meetings in Paris and Lausanne as well as chosen to miss the Jamaican Championships in June, Bolt’s last race was over 200m in New York on June 13. Although he says training has been going well, he admits he won’t truly know if he is where he would like to be until he returns to competitive action. The London meeting gives the Jamaican two chances to race over the shorter sprint, with heats taking place ahead of a final. Also among those set to compete are the likes of the in-form Jimmy Vicaut of France, USA’s Mike Rodgers and Britain’s Chijindu Ujah, James Dasaolu and Richard Kilty. The event doesn’t offer Bolt a head-to-head with world No.1 Justin Gatlin, however, with the American not invited by organisers British Athletics because of the two drugs bans in his past. That means that the pair could meet on the track for the first time since 2013 in Beijing and although Gatlin has a winning streak going back to August of that year with best times in 2015 of 9.74 for 100m and 19.57 for 200m, eight-time world and six-time Olympic gold medallist Bolt said he isn’t concerned. “I never worry about one person,” said the 28-year-old, who has run best times of 10.12 for 100m and 20.13 for 200m so far this season. “When a championship comes, if anybody knows anything about me, they know I always show up. While Gatlin is a controversial figure within athletics, Bolt explained it was the failed doping test of Gatlin’s fellow American Tyson Gay that had left him “really disappointed”. “I think the only person I really had a problem with was Tyson,” he said of the athlete who served a one-year doping ban from June 2013. “The reason is, I competed with Tyson throughout the years and I had so much respect for him as a competitor … I looked at him as one of the greatest competitors I have ever run against because he was dedicated, he worked hard and I really looked forward to competing with him. “When it happened I was really disappointed. I think that’s one of the ones that really hurt me overall. Asked whether he could be considered a “saviour” of athletics, Bolt replied: “All athletes have the right to try to help the sport, to keep the sport in a good light.